These chops cut from the shoulder look more like beef steaks than industrial pork chops! While not necessarily a well known pork cut, this has become a family favorite here at Tree Hill Farms. We are sure you've never tasted anything quite like this. 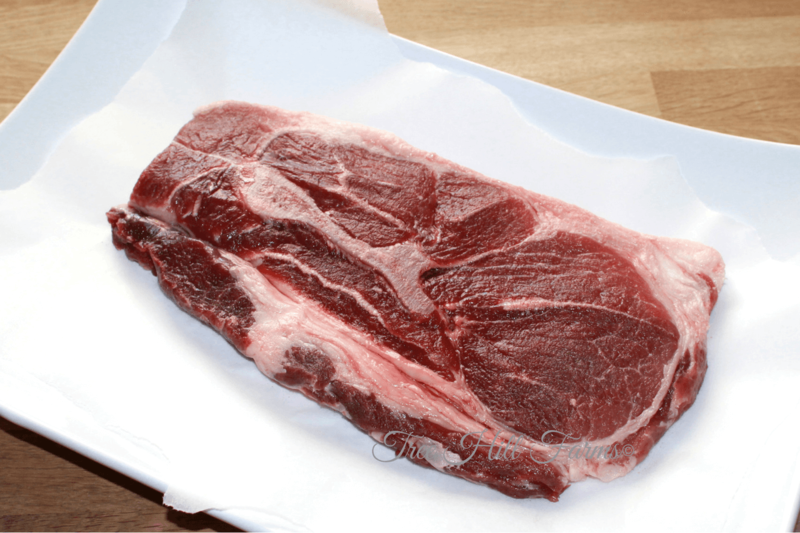 Shoulder chops have a lot of connective tissue which make them the most flavorful of the chops. We like to grill them with minimal seasoning to preserve the melt-in-your-mouth natural flavor of the Red Velvet marbling. They can also be pan fried or even slow cooked. This is a must-try cut!